Are you letting yourself go? I’m talking about allowing oneself and one’s life to crumble and fall: Letting age and the passing of time do what they do naturally without raging against the graying of hair, the packing on of pounds, the mounting household mess, the slowly percolating loneliness. 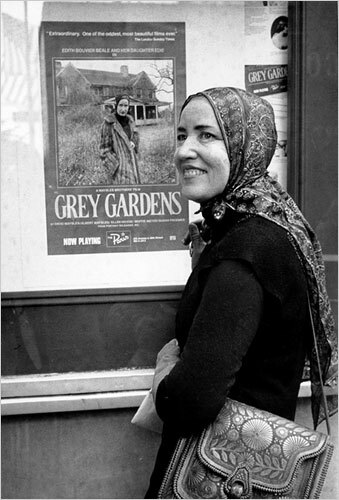 For a classic example of letting oneself go, I recommend the Sayles’s documentary “Grey Gardens” in which charmingly spaced-out socialite Little Edie Bouvier Beale (pictured above) sports dramatic headscarves and turbans fashioned from sweaters, sings “People Will Say We’re In Love” in a tremulous soprano, and feeds Wonder Bread to raccoons that have taken up residence in her crumbling mansion. As a single mother ensconced in a mostly empty nest, I contemplate the free fall into disarray on a daily basis. If I have no one to feed except myself, why bother eating correctly? If I lack a love interest, why put myself together prettily each day? Why not throw on some Bag Lady Couture (usually sweat pants and an old quilted coat), leave my hair unbrushed and frighten a few pedestrians on my way to the market. Without being able to depend on the traditional female obsessions of husband and child, and the sense of belonging that comes with loved ones, I frequently find myself feeling quite worthless. I had a career– two, in fact–which I pursued quite successfully from home after the birth of my child. I earned a master’s degree, worked at corporate jobs and developed many of my talents. In my secret heart, however, I was a woman obsessed with relationships, domesticity, maternity and the men in my life. From one perspective there was nothing wrong with this. I am mostly proud of my mothering, and look back fondly on my wedded domestic years. The problem with the traditional female role to which I clung is that it is a fickle identity. Classic femininity gives you status in stages. When you are newly in love, newly married, or a mother of new young children, you are smothered in steamy warmth, saturated with a sense of belonging, intensely loved and needed. You feel beautiful, special and strong, buoyed by your web of sweet connections. What’s more, each of these stages offers you a special place in a larger social world of couples, homemakers, playground goers, carpoolers and team moms. The simple bliss of birthday parties and halloween parades, parent open houses and baby showers, sporting events and sleepovers is so innocently absorbing, so cheerfully mundane, that you are lulled into a sense of permanence. It is quite shocking, then, to discover that when you divorce, the social welcome is no longer as warm. The circle of couples and families tightens, leaving you more often than not on the chilly side. Add to that an empty nest and you find yourself falling from your sweet cloud as surely as a disgraced angel. Can there be a silver lining to this? One finds it by considering that letting go of old roles and old habits can be a form of enlightenment. Yes, there definitely is a way of abandoning oneself that spells neglect, madness, sadness, depression, and a slow march into the arms of the reaper. On the other hand, if one lets go in a spiritual sense, submits to the will of one’s Higher Power, allows oneself to fall trustingly into the arms of the Universe, the experience can be blissful. In my newly lost and lacking state, I have tried experimenting with the spiritual aspects of emptiness. I have begun to trust the Universe enough to send out a sly prayer or two for a new path to love and life. Slowly, uncertainly, as time passes I am beginning to have faith that my prayers will be answered. The way ahead looks promising. As another Halloween passes, I find myself thinking about the curious symbols of this holiday: hay bales and haunted houses, witches on broomsticks, black cats and plump pumpkins. What an odd festival, celebrating the confluence of harvest and darkness, a holiday that evolved from our desire to appease spirits we feared would haunt us on long winter nights. It is a time when I find myself brooding about the darker side of my own nature. My inner pumpkin: A little roundness is wonderful, but I don’t want to turn into a giant squash. My pumpkin needs to be put on a diet. The first step is giving away the mountain of candy that the trick or treaters did not take. This includes the secret stash of Reese’s and Snickers in the freezer. My ghosts: Yes, reverie is very Proustian and poetic. However, on most days I find myself so distracted by memories or anxiety about the future that I cannot pay attention to what is right in front of me. I know that sages say the present is all we ever have but clearly I have not bought into this. I have too many ghosts clouding my boundaries and beckoning me to time travel. I must practice my present-moment awareness. The opera is a great place for this. I will go to something long and Wagnerian and see how many minutes it takes for me to start thinking about picking up my laundry. 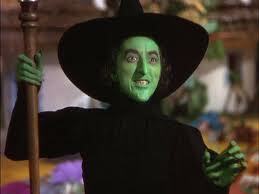 The Witch In Me: OK, I admit it. She is in there and wants to get out. It does no good to color and brush my hair or wear happy pastels. The more I refuse to admit that she’s my alter ego, the more likely she is to pop up at an awkward time and squawk irrationally at my child, fire off a diabolical email or give the evil eye to jogging strollers, leaf blowers, drivers making left turns while texting and other provocateurs. 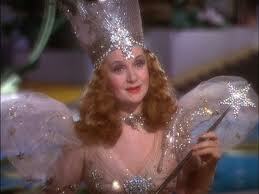 The good news about the witch is this: she is, as Jung explained, a manifestation of the Great Mother archetype. She is not only capable of menace but also of beneficence. The inner sorceress is not only the sinister spirit who glares grumpily at passers by but also the Good Witch who can create magic in the doorway at Halloween with a costume, decorations and a basket of premium chocolate brands. The witch is female creative energy. She is the life force. Maybe I don’t want to steal her look or learn her secrets of anger management. But I’m going to make peace with her. I definitely want to have her energy and imagination, her spellbinding charm, on my side.